Former deputy commander of the navy of the Chinese People's Liberation Army (PLA) Wang Shouye on Thursday was expelled from China's national legislature on charges of economic crimes after his mistress turned him in. The resignation of 62-year-old Wang Shouye as deputy to the National People's Congress (NPC) was approved by the NPC Standing Committee at the end of its six-day legislative session. Wang has been dismissed from the post of deputy commander of the PLA navy by the Central Military Commission. According to documents submitted to the NPC, an unmarried young woman reported to authority on Wang's problems and admitted that she had been in an "improper relationship" with Wang "for a long time." In January, 2006, the army ordered discipline measures on Wang and later removed him from the post of deputy commander, on basis that Wang had "loose morals", and abused his power to ask for and take bribes, both serious violations of the law and military codes of conduct, the documents said. "Because of my involvement in economic crimes, I had been stripped from the post of deputy navy commander and thus no longer has the qualification of being a deputy to NPC. Please take me off the position," Wang said in his resignation letter dated March 29, 2006. Born in Setempter 1943, Wang joined PLA at the age of 24 as a civil engineering graduate from Tianjin University. He rose to the head of camp construction unit of PLA General Logistics Department in 1995 and was appointed deputy navy commander of PLA in 2001. 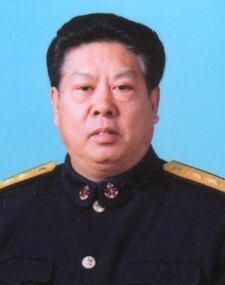 Wang was promoted Vice-Admiral. Together with Wang, other two deputies to the NPC had their membership ceased on Thursday for illegal business operation. Ge Zheng, 45, board chairman of the Tonghe Investment Holding Co. Ltd, in eastern Zhejiang Province, was expelled for "illegal collection of public funds," and Luo Zeqin, 47, board chairwoman of the Eighteen Treasures Health Care and Medicine Co. Ltd, in southern Guangdong Province, was expelled for "tax evasion." A high intensity of corruption cases were spotlighted recently, leading to the sacking of a couple of high-ranking officials such as vice mayor of Beijing Liu Zhihua, who was removed for corruption and "bad morals" on June 11.